Kingdom Rush has been a recognizable title in the world of mobile gaming since 2011. 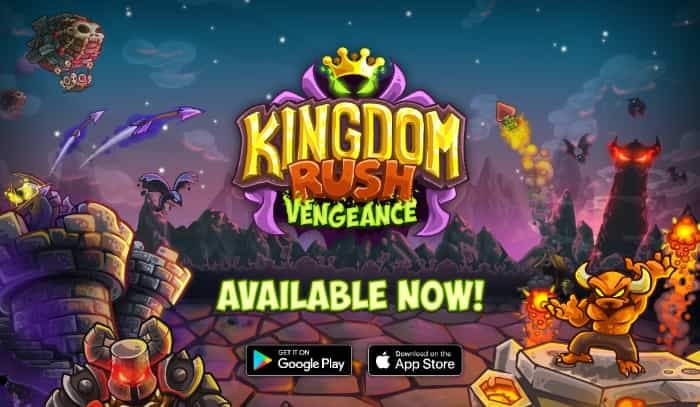 It is well known for its strategic battles and the newest game in the series, Kingdom Rush: Vengeance, includes some fresh additions to a winning formula. This is the fourth game in the series which was developed by Ironhide Studios. The earlier games in this franchise concentrated on defending the good guys from the bad guys. Kingdom Rush: Vengeance switches things around and has the players taking control of the dark wizard named Vez’nam and fighting on the side of evil. Players are allowed to choose up to five towers on the loadout screen. You can choose from four different types of towers (artillery, troops, magic and ranged) when you start the game and seven more can be unlocked by progressing through the levels. Five more towers are available but only with an in-app purchase using real-world money. One of the first types of towers that you’ll use is an artillery tower which features a goblin launcher. This launcher shoots out little goblins which crash into enemies. Another kind of artillery tower that you can start with is a boiler which makes large areas dangerous to step on. Kingdom Rush: Vengeance for PC gives you more flexibility when choosing your loadouts than previous titles did. For example, you can choose two different types of artillery towers in the same loadout from the very beginning. This means that you have more options when dealing with the first round of enemies. Upgrading your forces is done using an upgrade tree. The trees combines four groups which are general upgrades for towers, magical attacks, hero upgrades and reinforcements. You’ll purchase these upgrades using upgrade points which are gained by completing levels. More towers to choose from at the very beginning gives the player a good range of strategic options. The mapping system is great and a wide variety of enemy types keeps things interesting. The boss levels are varied and provide unique challenges which force you to improvise. Total playing time can top ten hours and will still leave you yearning for more battles and challenges. The new tower system means that you cannot upgrade individual towers. If you wish to purchase a specific upgrade for a tower, you have to buy other unrelated upgrades until your desired branch becomes available. The upgrade points are given for simply completing a level rather than basing the rewards on how well you played. Players can still gain achievements for completing challenges but these are shiny medals which are no good for upgrading your forces. Certain features can only be bought using real-world currency. Kingdom Rush: Vengeance has proven itself to be a great addition to the series. 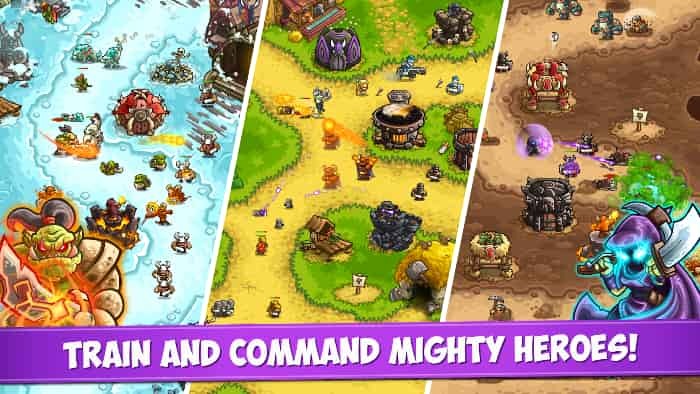 The changes to the playing formula will annoy the Kingdom Rush veterans at first but it is easy to adapt to and they will soon see how it improves the overall gameplay. They may even find that it’s their favorite Kingdom Rush game yet. Sometimes when playing Kingdom Rush Vengeance, bluestacks ask you fee to pay but gives you option to download some apps. Every time it asks you just select “Install apps” and continue using it free. I hope you enjoyed this article, please rate and share. 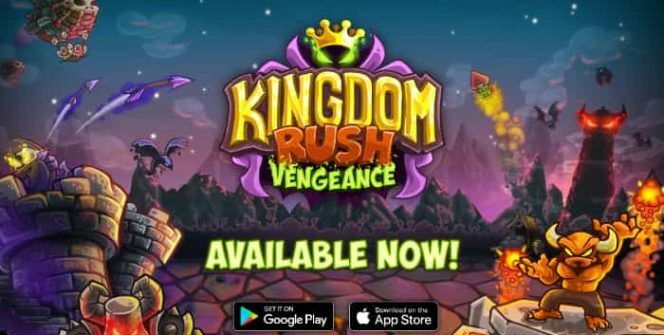 If you have problems running Kingdom Rush Vengeance on your desktop or any other issues, leave a comment below.